David Edwards was born in Rhodesia (now Zimbabwe) in 1969. He has lived in Jersey, Channel Islands and Vancouver, BC, and is currently living and working in Montréal, Québec. He began his career as a graphic designer, but in 2000 began painting full-time. Focusing primarily on the landscape for many years, Edwards has recently revisited his first love, figure painting. His figurative images deal with issues of identity, and look not only at how we perceive ourselves, but how we believe we are perceived by others. In most of the figurative pieces the subject’s face is covered or obscured. These ‘anti-portraits’ at once disguise and reveal the subject’s identity. 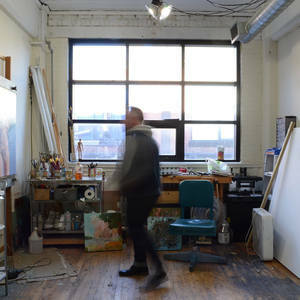 The artist has won several awards, and his work can be found in numerous private and corporate collections in Canada, Great Britain, Europe and the United States.